Janmashtami is just few days away and families are busy preparing Krishna jhula and homemade sweets. On this auspicious occasion, learn how to make Janmashtami Jhula at home. 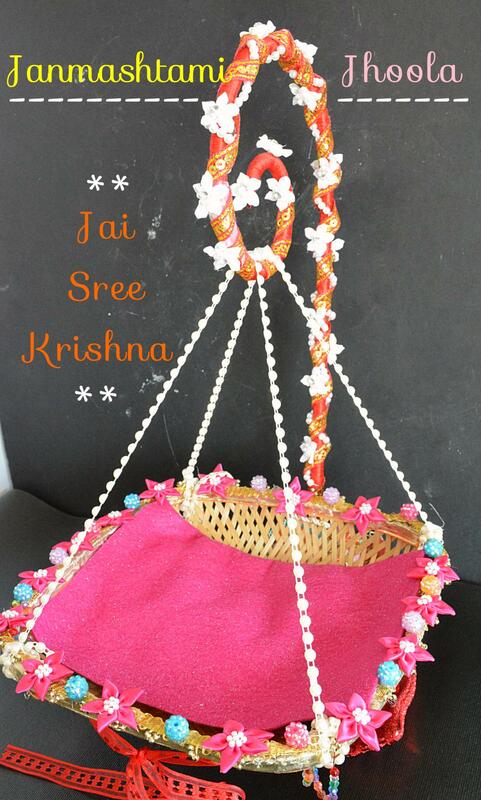 Create Krishna jhula from simple and easy-to-find materials that you probably have laying around the house. You really don’t have to head out to buy all these fancy stuff. Explore your closets/drawers and collect all the crafty stuff like colorful laces, beads, jewels and some fancy fabric flowers. Search for all your gift ribbons, wrappers, shimmer cloths and create a beautiful jhula with whatever you have on hand. Bring out your innovative ideas and be creative. 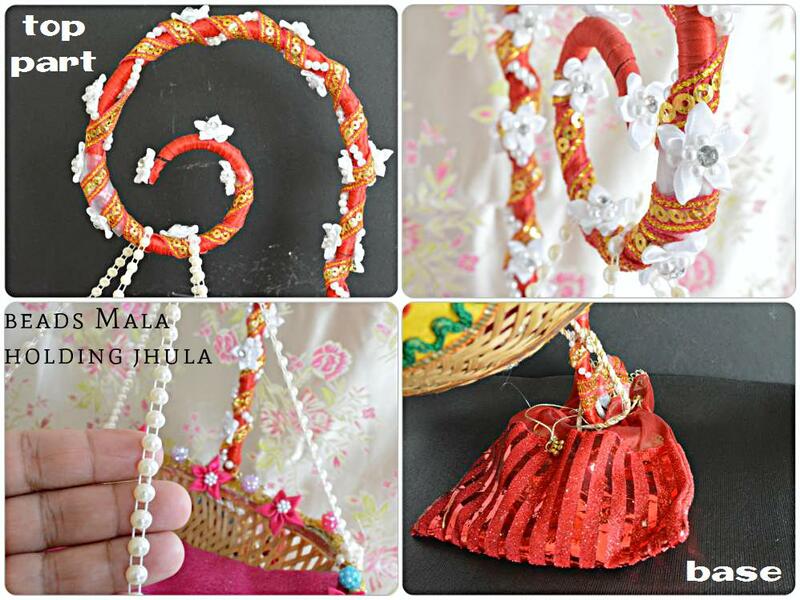 Follow a step by step tutorial on how to make Janmashtami Jhula at home. HAPPY JANMASHTAMI TO ALL !! Use a banana holder and find a basket. 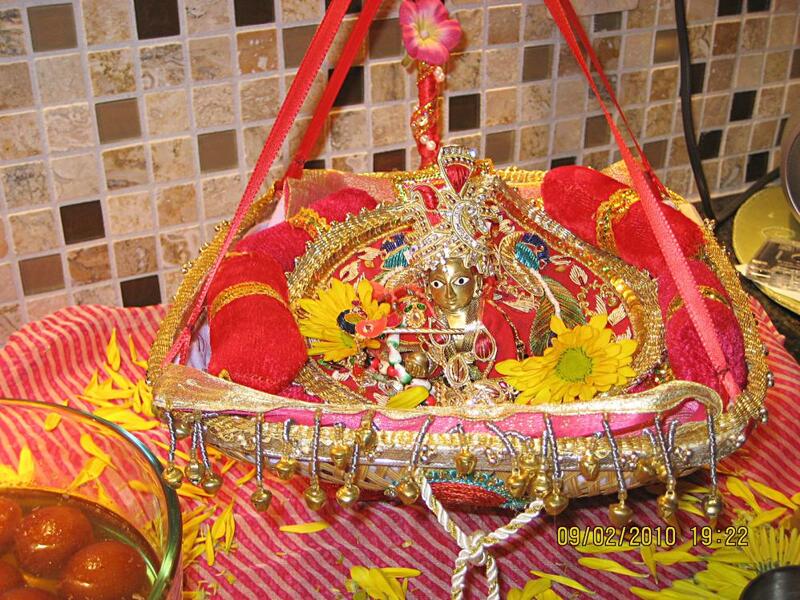 For my jhula, I have used a flower holder that was of no use in my house. Saved the flowers for my props and used the holder. 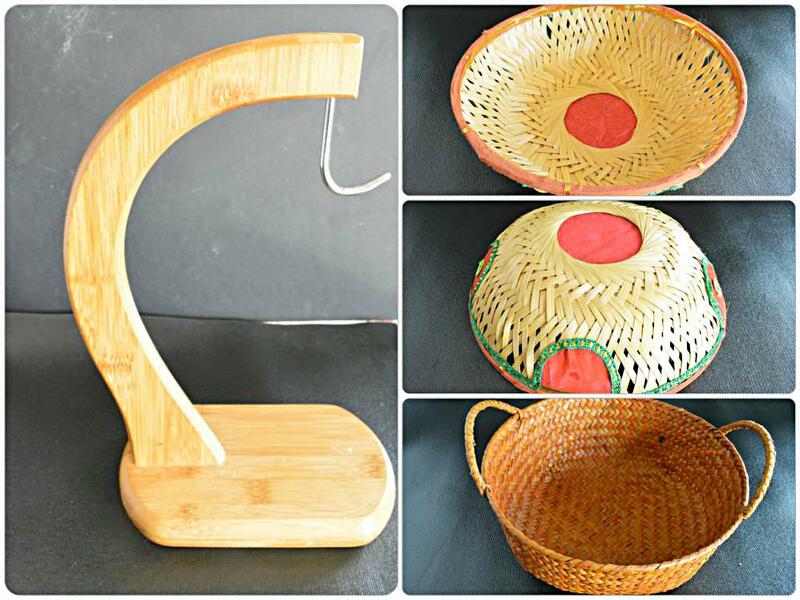 For the basket I have used an empty dry fruits basket. Cover the banana holder with satin laces. As seen in the first pic, I have covered the jhoola with a red satin ribbon. Repeated the process and this time I have covered the first red satin lace with a red sparkly lace. Secondly, cover the handle with some satin flowers. In the third pic, use a beads lace or any fancy lace to hold the basket. Finally, cover the base with a fancy fabric gift pouch. Closer look at the satin flower. This is the center of the basket. Be creative and arrange colorful beads and more satin flowers all around the basket. The base of the basket is covered with a shiny felt cloth. A closer look at the basket. In the front, tie a lace thread and make sure its in the center of the basket. Before you make your Kanha sit in the jhula, make sure all the strings are perfectly tied and the front thread is secure. HAPPY JANMASHTAMI TO ALL! !